Any company or business taking steps to become a more sustainable corporation can utilize this brochure to describe the process. This straightforward brochure has space for the company to describe 4 different modes of "going green" with both photos and text. 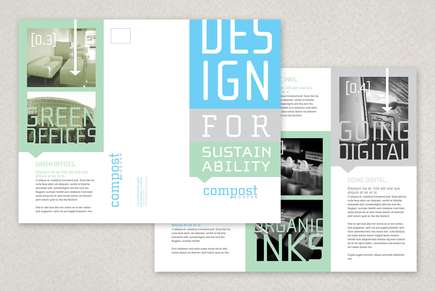 The organized layout and clean colors reflect an image of a company moving towards a more sustainable future.